The Pope County Historical Society is proud to host a presentation by Steve Nestor on the history of the Glenwood Hose Company, also known as the Glenwood Fire Department. The event will take place Saturday October 15 at 2pm to close Fire Prevention week. The Glenwood Fire Department is the subject of a new exhibit in the museum lobby. With inspiration and yeoman’s research of Steve Nestor, the exhibit debuted in part in July at Eagle Bank with a feature on Fire Chiefs through the years. 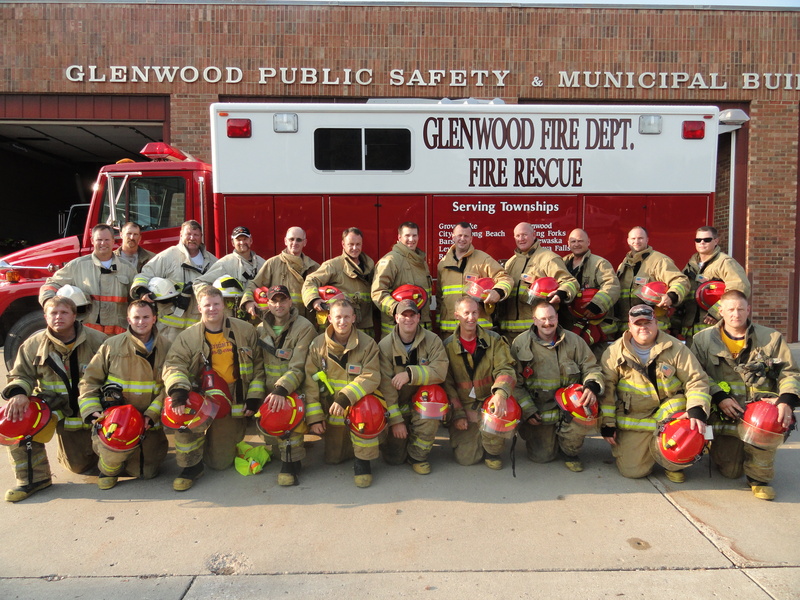 A full exhibit on the Glenwood Fire Department is now open at the museum. It includes profiles of each of the fire chiefs since 1883, a timeline of major fires and artifacts from the collection related to the fire department. Having a son and two nephews serving in the fire company inspired Steve Nestor to look into the history of community fire protection. To his surprise, he found that his Great Grandfather, Michael Benson, was one of the ten young men who stepped forward in 1883 to found the Glenwood Hose Company. This only added more emotion and initiative to the research. Please join us as we salute the brave men and women who have volunteered their time and talents to serve our community throughout the years. This entry was posted in Museum updates, Uncategorized and tagged Glenwood Fire Department, Glenwood Hose Company, Pope Counyt Museum, Steve Nestor. Bookmark the permalink.